The term Body Dysmorphic Disorder (BDD) describes a disabling preoccupation with perceived defects or flaws in appearance. It can affect both men and women, and makes sufferers excessively self-conscious. They tend to check their appearance repeatedly and try to camouflage or alter the defects they see, often undergoing needless cosmetic treatments. Onlookers are frequently perplexed because they can see nothing out of the ordinary, but BDD causes devastating distress and interferes substantially with the ability to function socially. Here is a fascinating and illuminating podcast by Brian Cuban on the excellent Klen + Sobr recovery website. Brian’s recovery journey took him through clinical depression, twenty-seven years of eating disorders, body dysmorphic disorder, alcohol and drug addiction. He went from an 18-year-old anorexia/bulimic to the brink of suicide at 45 years old to then finally turn it around, walk away from a successful legal career, restoring himself, his family relationships, and finding his true passion in life. Brian is a an author whose Amazon best-selling book. 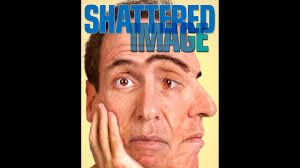 Shattered Image: My Triumph Over Body Dysmorphic Disorder, chronicles his first-hand experiences living with, and recovering from eating disorders, drug addiction and Body Dysmorphic Disorder (BDD). Brian speaks regularly about his recovery, childhood bullying, fat shaming and breaking the male eating disorder stigma.